Bruce Willis and James Garner are out to make a movie and solve a murder in Blake Edward's SUNSET, the fictional adventures of two of America's greatest real-life heroes.Willis (The Fifth Element, Die Hard) stars as Tom Mix - Hollywood's hottest action-hero who's been cast to play the legendary lawman Wyatt Earp. Trouble is, Earp (Garner, Twilight, Maverick) has been hired to work as a technical expert on the film - and this doesn't sit too well with the big at-the-top-of-his-career movie star Mix. Even worse... Earp doesn't take too well to movie moguls and the fancy studio life. So, Old West and New Hollywood collide and inadvertently become a vivid backdrop for one of the most shocking murder mysteries ever to scorch the silver screen. 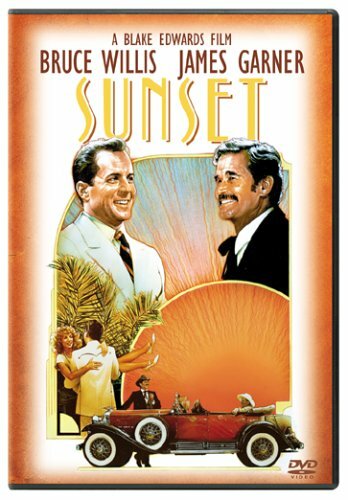 Come back to a lost time when movies were movies, murders were mayhem and heroes were just plain outrageous, in SUNSET... the action-packed adventure this side of Hollywood and Vine. It's the truth, every word of it... give or take a lie or two! If you have any questions about this product by Sunset, contact us by completing and submitting the form below. If you are looking for a specif part number, please include it with your message.